Early in the morning of October 16, 2012, seven valuable works of art were stolen from the Kunsthal here in Rotterdam. The works were among 150 shown at Avant-Gardes: The Collection of the Triton Foundation, which had opened a week earlier. The thieves took Woman with Eyes Closed by Lucian Freud, Head of a Harlequin by Picasso, Woman before a Window by Gauguin, a self-portrait by Jacob Meijer de Haan, Woman Reading in White and Yellow by Matisse, and two pastels by Monet of Charing Cross Bridge, London and Waterloo Bridge, London. It didn’t take long for the news to spread around the world. The pictures vanished, but a few months later, I read press speculations that they had been taken to Romania and, worst of all, that the mother of one of the suspected thieves had burnt the paintings to destroy the evidence against her son. The many twists and turns of the story from the day of the theft to the start of the trial in August this year are recounted in The Art of Stealing, an online feature about the case published by the NRC Handelsblad. I was astonished to learn that the surviving art from the Middle Ages in the Low Countries can be displayed in a large room at the Boijmans. One of the curators of the exhibition estimates that perhaps 1% of the paintings of that particular period and place have survived into the 21st century. Wars, fires, the Reformation, changing tastes and fashions, perhaps even theft, have all taken their toll and thousands of works have disappeared. Some live on in the form of copies made before the original went up in smoke, but others are only known to us because they are described in surviving documents. 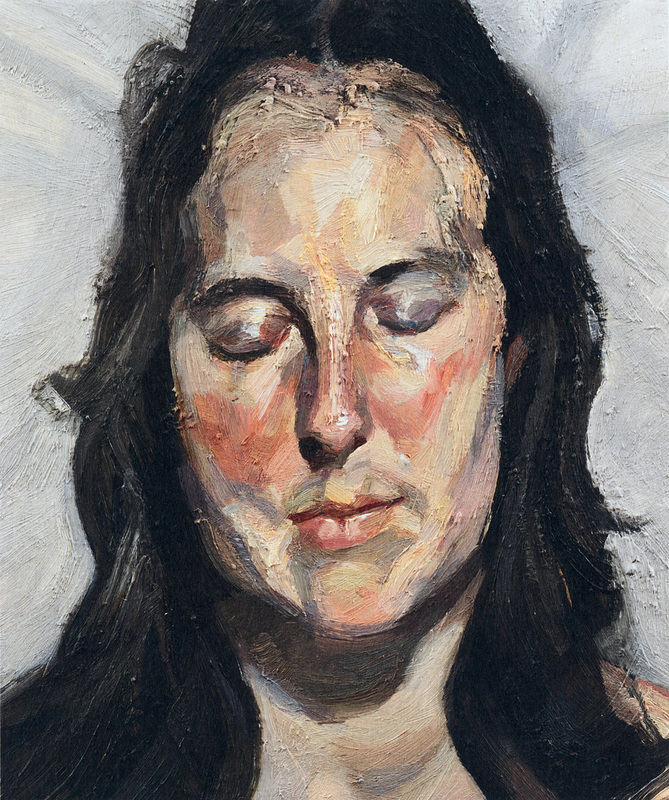 On November 13, 2013, Three Studies of Lucian Freud, a triptych by Francis Bacon, became the most expensive artwork ever sold at auction when it changed hands for a cool 142 million US dollars at Christie’s in New York. The identities of the buyer and seller are unknown, but when sums like that are involved, one might speculate that it is a question of investment by some magnate or other. Setting aside the commercialization of the art market, let’s consider what happens to these paintings. It is, of course, possible that the unidentified magnate bought the Triptych for private enjoyment, or to lend to a museum, but chances are the painting is headed to a bonded warehouse in Geneva, Luxembourg or Singapore where it will sit anonymously along with thousands of others, exempt of tax and customs duties, until it emerges in another sale, or more rarely, for public display. It all rather reminds me of the final scene of Raiders of the Lost Ark. Astonishing – the use and abuse of art. And just think of the artists who died in poverty (Van Gogh, Rembrandt) yet what remains of their work is worth millions. What a weird world. Great story … clicking on the links gets you deep into the story lines … fascinating!